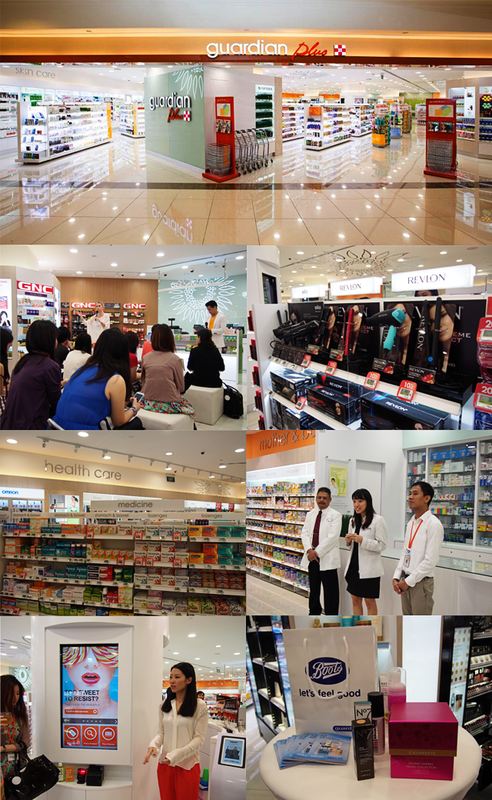 November marked the official launch of Guardian Plus in Takashimaya Shopping Centre. The cutting-edge flagship store provides shoppers an experience like no other. There are over 20, 000 health and beauty products and the place is decked out with the latest technology gizmos to help you with your needs. The best thing of all is that Guardian Plus won't be just another drugstore with the same ol' brands. They are bringing in new brands and one of which is the highly anticipated Boots. The No7, Botanics, Mark Hill and Champneys ranges are all available at Guardian Plus. And being ever thoughtful, there is also a dedicated team of 4 in-house pharmacist-trained specialists; a pharmacist, a nutritionist, a health advisor and a beauty advisor. They provide consultations for a nominal fee in a private area. Basic screenings are also conducted.